I love running, I’ve been running nearly my whole life. 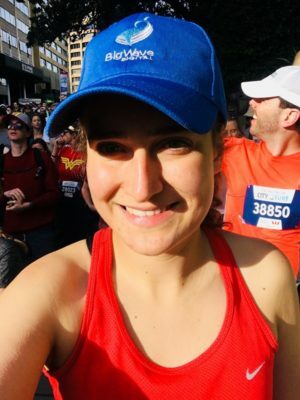 When I heard about the City2Surf, which is the world’s largest fun run, I was very excited to participate and be running for Big Wave Digital. I love running, I’ve been running nearly my whole life. Running makes me feel better and meet motivated people, who love being outside, exercising and pushing themselves to their limits. 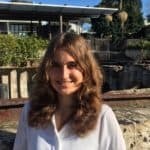 When I heard about the City2Surf, which is the world’s largest fun run, I was very excited to participate and be running for Big Wave Digital. 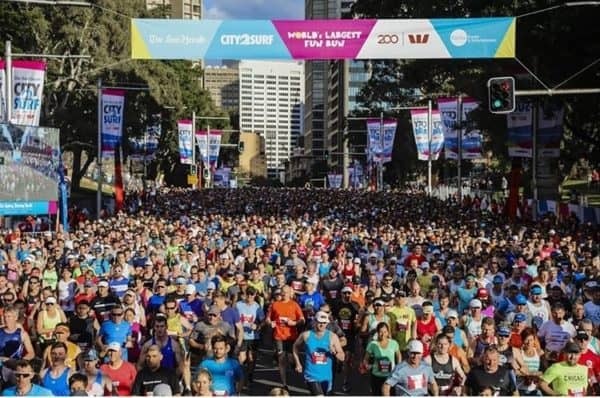 When I arrived at Hyde Park for the City2Surf I was immediately overwhelmed from the buzzing atmosphere; so many people (80 000+), bands along the course and everyone in a festive mood, some even wearing costumes. Although a 14 km run is tough, I was happy to take up the challenge. Running the 14 km towards Bondi Beach was amazing and went by quickly – all those people, music, happiness and this beautiful course with a view of the Harbour Bridge and the Opera House. I’d say Heartbreak Hill was the hardest part, where I felt all my muscles ache and I really suffered. However, once I crossed the finish line, I felt immediately happy, proud of myself and grateful that I could experience a sporting event like this. I quickly forgot how much I suffered during the run, as the positive feelings took over and I’m already thinking of my next fun sporting event to participate in, perhaps in Germany. So why do I keep running? Running helps me clear my mind, go through my day and sometimes run a bad feeling off. It is my balance to everyday life. If I don’t run for a few days, I feel tense and can’t wait to start again. There are so many positive side effects from running and exercising. I noticed, that especially people who discovered running a year or two ago, are very passionate about running because of the benefits it brings to their lives. Physically like being healthy and having a strong immune system but also mentally, by pushing your limits, being even-tempered and feeling good afterwards, which also helps at work and in life in general. At Big Wave Digital we encourage and act on the premise of living and working in balance. Everybody can run! Starting is the hardest part, as running shows you quickly how fit you are. But just keep going, you will notice quickly that your effort pays off! The City2Surf is the perfect event to train for and get started. In his book Christopher McDougall states the theory, that humans are born to run. I absolutely think he is right!